In a span of a few weeks, Alden Richards is now a "Twitter millionaire". He joined the elite group of men composed of Xian Lim, Enrique Gil, Luis Manzano, Daniel Padilla, Matteo Guidicelli, Robi Domingo, Sam Concepcion, and Jed Madela, among others who surpassed the 1 million mark in Twitter followers. To be fair, Alden's Twitter is the youngest from among those we mentioned. GMA's new golden boy was attending Boardwalk's event, a clothing retail line which he endorses, at the Music Museum on September 1 when he learned about the news. He was being interviewed then by GMA's showbiz reporters and was asked if he is excited to get to 1 million on the said online platform. "I am so thankful na nag-follow sila. I will be extremely happy if I get to 1 million," the young actor said. A few minutes later, the interview was interrupted by his team when they broke the good news. "Never ko inexpect na darating ako sa ganun kadaming following sa Twitter. Overwhelmed pa rin ako," Richards said when we asked him during his interview with the bloggers. 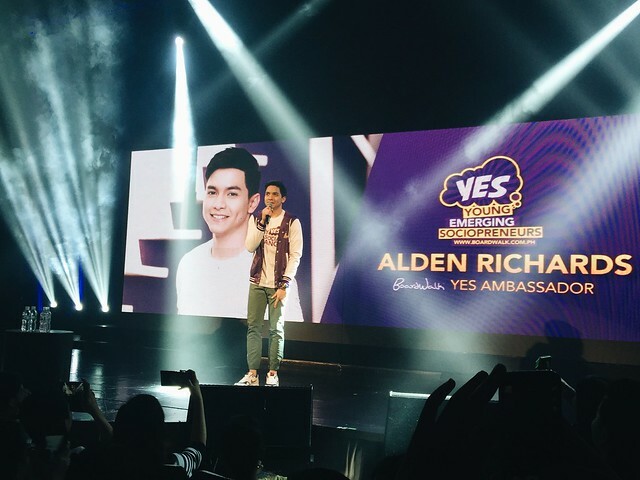 Boardwalk ambassador Alden Richards talks to students and young businessmen about the entrepreneurial mindset even at a young age during the #YESRefreshed event at the Music Museum on September 1. "Masarap to know that there people who are interested in your tweets... (in) what you're thinking about." 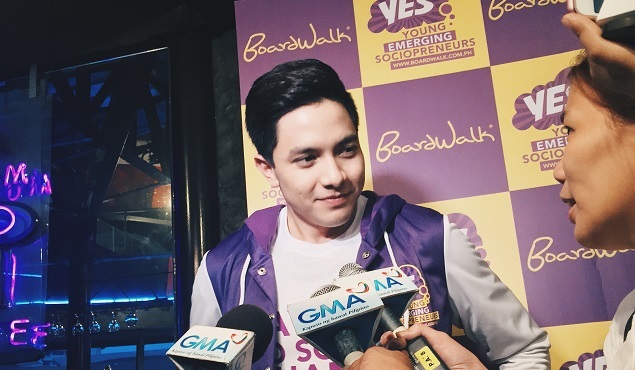 Alden also said that he will try his best to be more visible on his social media, including Instagram. "Sayang naman yung pag follow nila sa akin kung di ako maging visible sa social media. I will try my best to really update my accounts personally when possible." 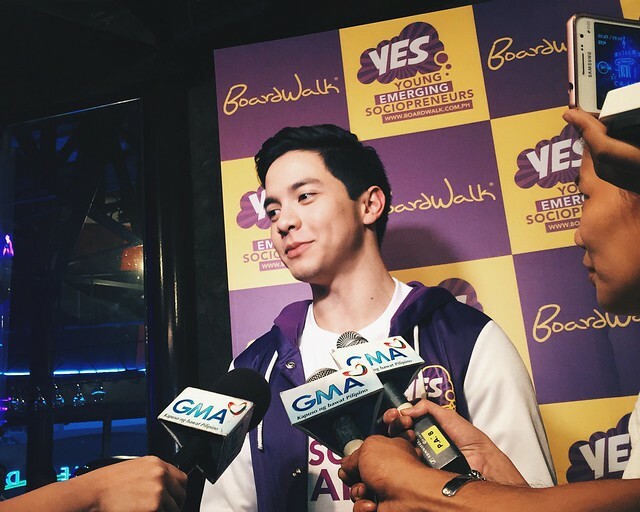 Alden also gave updates on how he is coping up with his new found super popularity status along with onscreen partner Maine Mendoza, aka Yaya Dub. He realized that to be patient is his way of taking care of his growing career. "With everything that's happening right now, the more and more you get to the peak of your career, the more people will demand your attention... So, patience talaga ang pinakapuhunan dito sa industry na to." "You also need to respect... You respect everyone. Pagod ka... Let's say pag may nag-a-ask ng picture, it's what makes them happy. I don't want to take that away from them," Richards added. Watch the rest of the 10-minute interview below.